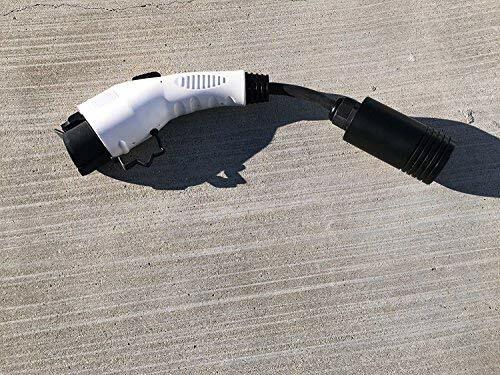 Fast charging for electric cars should be a huge boost to electric car adoption, if there is widespread deployment of fast charging stations, and an announcement that REMA will begin manufacturing SAE DC Fast Charging plugs and sockets takes us a step closer to that day. 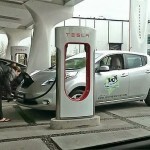 Quietly in the background of the electric vehicle market is a little war between three fast charging standards. 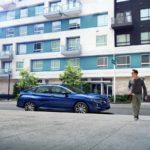 The main war is between the incumbent CHADEMO system supported by Nissan and Mitsubishi, and the newcomer SAE DC Fast Charging system that’s expected to arrive in future electric cars from the other automakers. There’s also the little matter of Tesla’s Supercharger system that beats the power and flexibility of the other two systems, but is proprietary to Tesla. 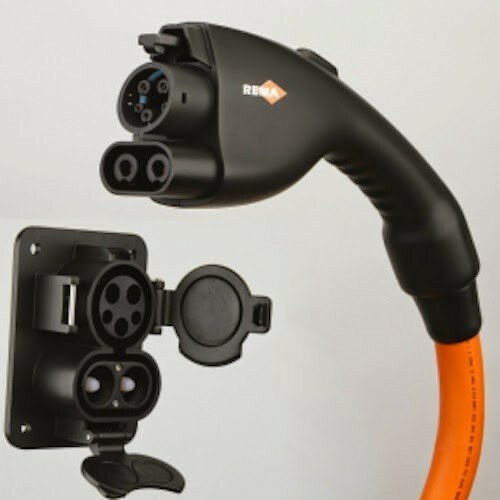 A salvo in the battle was fired this week by REMA who unveiled their SAE DC Fast Charging plug and socket, which has achieved UL Listing, and is slated to begin production in 2012. Until now advocates of the CHADEMO standard have been able to dismiss the SAE DC Fast Charging system as something which will happen several years hence. 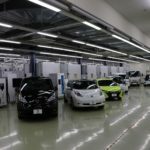 In the meantime CHADEMO compatible cars from Mitsubishi and Nissan are sold every day, increasing the installed base for that fast charging standard. With a manufacturer stepping up to the plate to begin production of components for the SAE DC Fast Charging system this “oh, we’ll believe it’s a real system if it ever shows up in a car” dismissal of the SAE’s standard loses some impact. 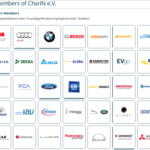 Just as every day more CHADEMO compatible electric cars, so too do the manufacturers supporting the SAE DC Fast Charging system get one day closer to manufacturing cars which implement that standard. REMA’s specs for the plug are that it supports a charge rate up to 90 kilowatts, or up to 600 volts and up to 175 amps. The plug design is in conformance with draft standards from the SAE J1772 (USA) and IEC 62196-3 (Europe) committees. The socket has inlet flaps for protection from the weather. 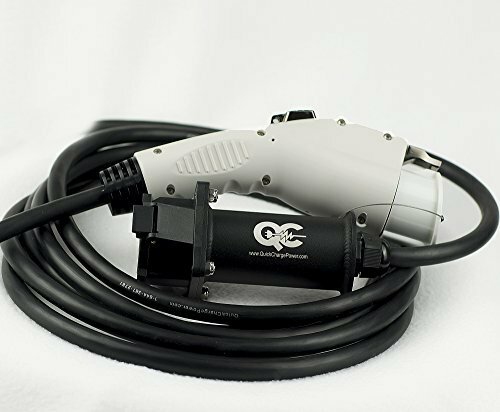 The SAE J1772 committee claims the SAE DC Fast Charging plug has the advantage of enabling “a vehicle manufacturer to integrate this combined AC/DC interface into a single body panel opening.” CHADEMO compatible cars use two charging ports, one for the SAE J1772 socket, and the other for the CHADEMO socket. On the Nissan Leaf this is accomplished with one body panel opening, albeit a rather large one, in the nose of the car. On the Mitsubishi i-MiEV this is accomplished with two holes. In truth the technical reason for the SAE DC Fast Charging system is direct compatibility with the HomePhy standard for smart grid services . In Japan the CHADEMO system has been in operation since 2008. Research related to that system has shown that when fast charging became available, electric car utilization went way up. 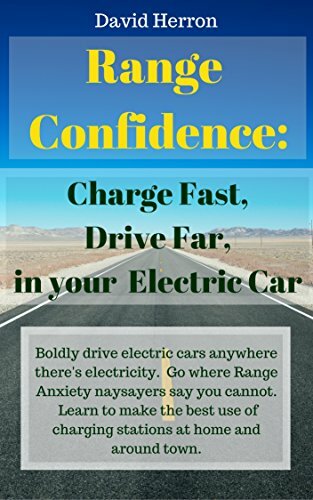 It’s thought that fast charging addresses range anxiety concerns. Regardless of which fast charging standard ultimately wins this standards battle, it’s clear that fast charging becoming common would speed up electric car adoption. But the battle between CHADEMO and SAE DC Fast Charge factions is slowing down that process, and arguably slowing down electric car adoption. REMA’s announcement is a step towards the expected future when the SAE DC Fast Charging system is available on a wide range of electric cars from a wide range of manufacturers. The electric car market is not at that stage yet. 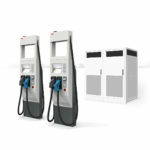 It’s thought that at least one electric car in 2013 will support the SAE DC Fast Charging system, and some of the charging station manufacturers are promising to support both the CHADEMO and the SAE systems .